“My Pastor and I recently presented and co-facilitated a Christian Couples retreat using the FCLO curriculum at the historic Safety Harbor Resort and Spa (Safety Harbor, Florida). What attracted me to this curriculum was the creative and inspiring ways that the Walkers mapped biblical truths concerning marriage with practical, male-friendly lessons and exercises. that positevely impact the lices of married, singles and the entire family. They teach principles for living in everyday relationships. The Walkers use various media platforms to get their message across. Their resources will encourage individuals, couples and they are good resource materials for classes. Their Marriage Curriculum can be followed to organize your own couples retreat. It also includes the training you can use to lead an 8 week Communication Session. Finally it includes the Leader's guide to lead a monthly small group session for a year. F.C.L.O. features three sections that can be used together or independently. These tools inspire intimacy, improve communication, train couples to negotiate and provide a year of accountability. It helps couples of all ages to build a lasting foundation to skillfully face the challenges of marriage over the long haul. Their books have discussion questions in the back for class settings. Dr. Clarence and Dr. Ja'Ola have great concern for Pastors and their marriages. They do Pastoral Consultations via phone or in person in Delaware to assist these special couples to get over road bloacks in their relationships and to provide a caring understanding ear for those who sometimes feel so alone. Just click the Pastoral Consultations on the store page for more information. 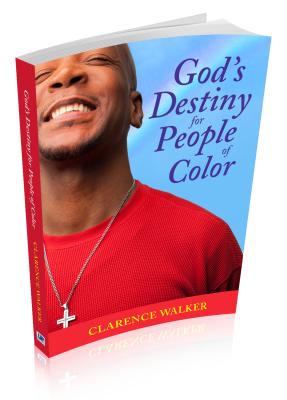 God's Destiny For People of Color - Brand new book! 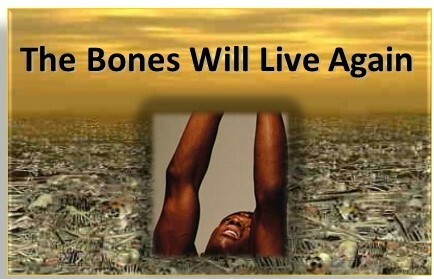 God is asking the same question today that He asked Ezekiel- Son of man, can these bones live?” God told him to prophecy to the bones. God has called Dr. Clarence Walker to prophecy to the hopelessness of a scattered people. Seven messages make up the Destiny of Hope series - each of them uncover a piece of God’s restorative plan for His dark skinned children, plans to prosper, not to harm but to give them a hope and a future. 1. To address the hopelessness that hangs over many Hamitic people of color throughout the world especially those of African descent. 2. 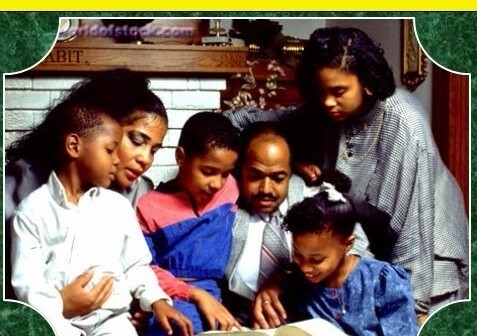 To inform Hamitic people of color concerning their significant contributions and achievements of the past and their pivotal role in God’s plan for the future. 3. To help set the record straight, by correcting many misrepresentations and distortions about Hamitic people due to the racism of European scholarship both secular and biblical. 4. To provide a biblical foundation for the spiritual and emotional empowerment of Hamitic people of Color. 5. To destroy racial barriers in the body of Christ due to ignorance, and provide a basis for true racial reconciliation. 6. To unveil the hidden mystery, in prophecy concerning the destiny of Hamitic people of color. 7. To glorify our Father and the Son of God the Lord Jesus Christ as the Lord OF ALL. Racial prejudice and ethnic bias has no place in the Body of Christ therefore it is not the aim of Destiny of H.O.P.E. to elevate Hamitic people of color above other ethnic groups or put down other races or nationalities, but rather to present the truth knowing that truth will set free both Hamitic people of color and those of other nationalities who receive this message. Black people once had a glorious past from ancient Mesopotamia, the great Kingdoms of Egypt and Cush, and those of Song Hai, Mali and Ghana. Over time these great kingdoms fell and often the inhabitants became captives and oppressed by other nations. The residual effects are still with us today. What happened to cause us to lose these great civilizations? Why does it appear that people of color are oppressed through out the world? Are we destined to stay on the bottom? Has God abandoned us or does He have a plan of restoration? The answer is found in God’s word in Isaiah 18:1-7. This is a prophetic word about black people. The people of Cush are identified as a people tall and smoothed skin that conquered other nations but came under God’s Judgment because of pride. Verse seven is a prophetic word concerning God’s restoration. •Isaiah 18:7 For in these last days just prior to the harvest of the end times ‘ the time will come when the Lord Almighty will receive gifts from this land divided by rivers, from this tall, smooth-skinned people, who are feared far and wide for their conquests and destruction.’ NLT. This powerful message lets everyone know that black people are not cursed, but God has a wonderful plan for His dark skinned children. A great evangelism tool for Black Muslims and those who think Jesus is for the “white man”. These messages are available in sermon format, workshop, CD, DVD and book format.